Fashion trends are easily picked up between magazines, shows and icons showing off their new styles. Many icons enjoy the use of wearing real fur, and nowadays, many even promote the use of fox tails. Real foxtails, in which they torture these wild animals for the use of this trend. These animals are killed for something so small as a keychain to hang from your purse or belt. This is trending quite quickly, but you don't have to not follow it either. There are other solutions, as to buying faux fur tails (fake fur tails) from stores like H&M and Urban Outfitters by clicking here. A retailer to make sure you avoid is Dolls Kill, in which use real foxtails. 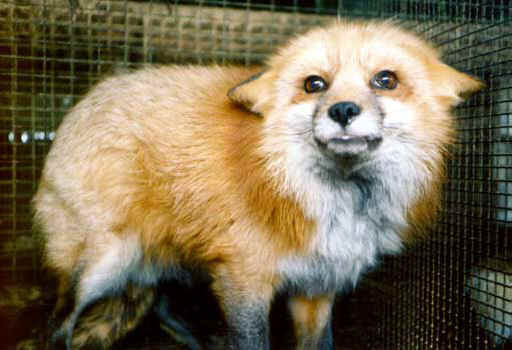 Make a difference, and let's ban the use of Foxtails from fashion. You can inform Dolls Kill that you will not be buying their merchandise until they stop selling foxtails by contacting their Facebook, Twitter, and/or contact them directly. What do you think about this fashion trend? In what ways would you want to help?